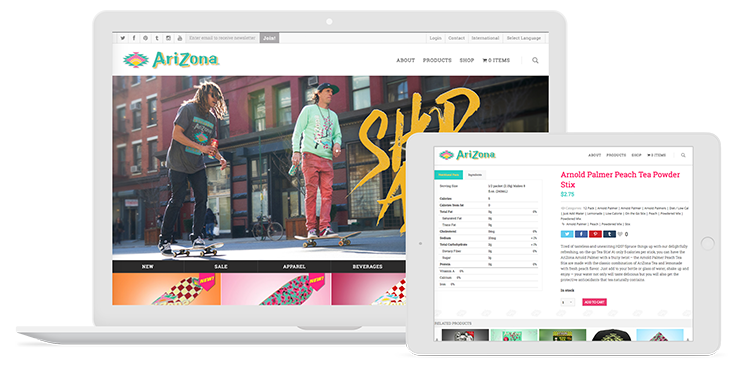 Arizona Beverage Company, a famous company producing some 3 billion containers of tea, juice, water and alcoholic drinks annually, including its popular green tea and Arnold Palmer lines. 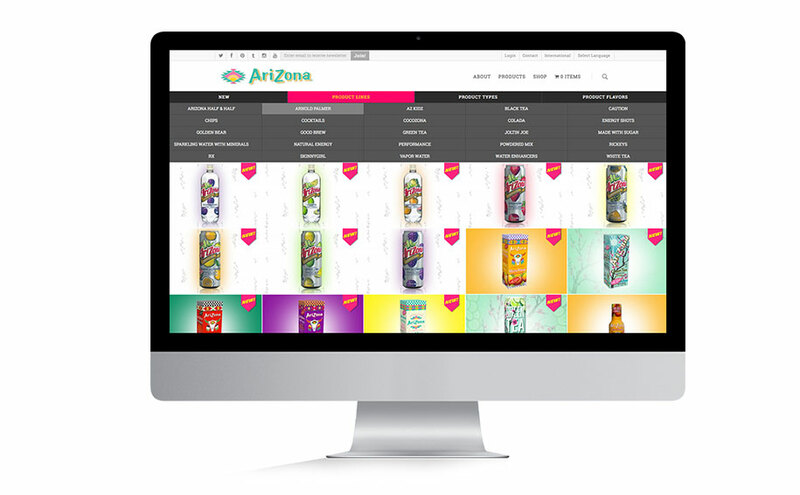 Arizona Beverage Company approached Mediaboom to develop a new, responsive website to showcase their wide variety of products with an eye-catching design, onsite translator, product selector, and online shop. 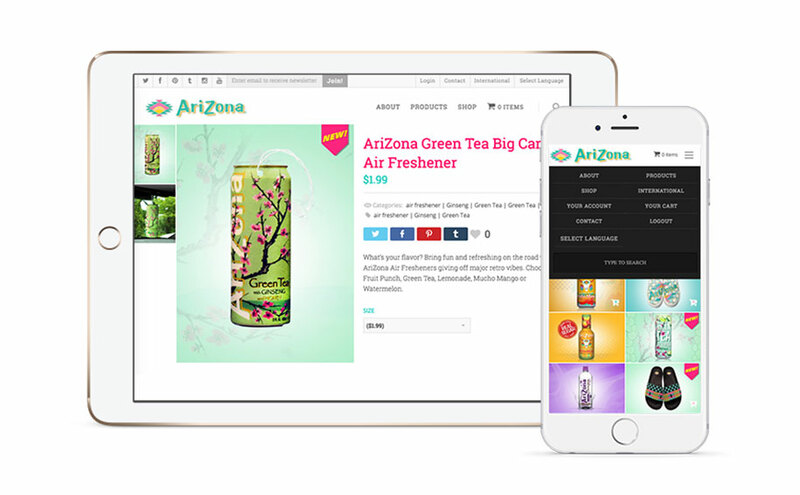 Mediaboom developed a product selector tool that allowed users to easily find what they were searching for as well as a on-site translation tool. 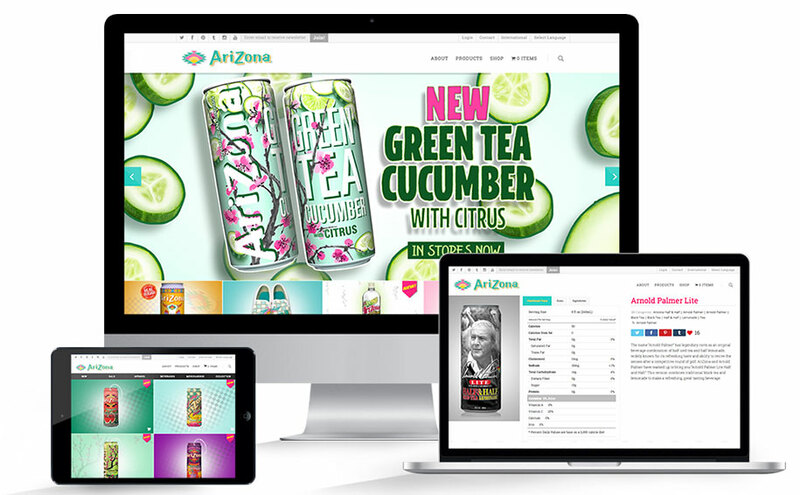 Paired with eye-catching design and a new shopping cart, the new DrinkArizona.com website has allowed users from all over the world enjoy Arizona Iced Tea’s fantastic flavors.